Thank you for the good support over the years. We wil be exhibiting the show in April 2011. We'll appreciate your kind attendance. 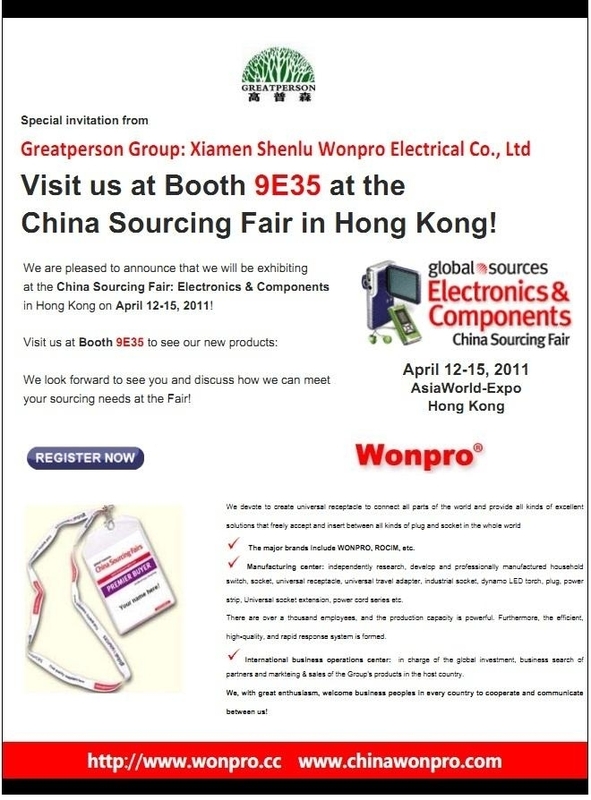 We are pleased to announce that we will be exhibiting at the China Sourcing Fair: Electronics & Components in Hong Kong on April 12-15, 2011!